Hold up, so Voyager 1 has left the damn solar system and it’s not on the front page anywhere? Y’all do realize what an achievement this is, right? Voyager has now traveled farther than any man-made object to date. 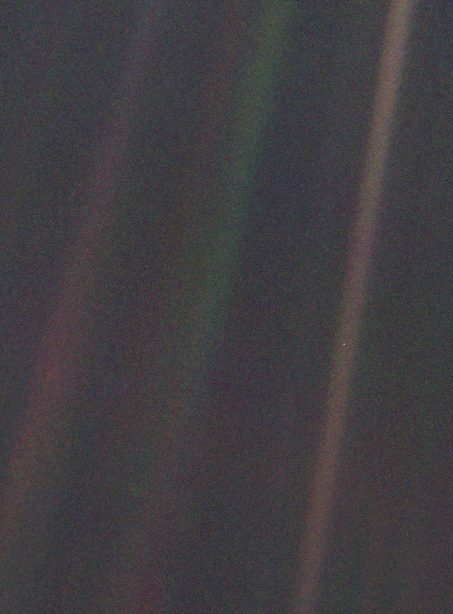 Just so we are clear, this is a photo of Earth from Voyager 1 in 1990. See that little blue dot in the brown band? Yep, that’s us and everyone who has ever lived on Earth. It’s been 23 years since that was taken. Photo credit: NASA via Wikipedia. There’s been controversy about whether Voyager 1 actually left for a year or so now, but it appears researchers are certain that Voyager 1 is now traipsing through the Milky Way. It has actually gone where no man has gone before! 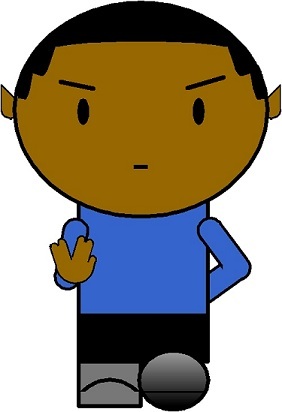 Remember V’ger, anyone else a little nervous? Could you imagine Voyager 1 being intercepted and upfitted by a race of aliens and returning to us? I’ll be long dead by the time that happens, but it is kinda cool to consider. On the other end of the spectrum, a probe entering a black hole and becoming self-aware was a very similar story to the movie Event Horizon– the scariest movie ever made. Let’s hope that sh*t doesn’t happen. The V’ger entity and resultant merger with Ilia and Lt. Decker is supposed to be the beginning of the Borg, so, yeah, let’s hope all of that doesn’t happen. In fact, let’s hope that the galaxy is filled with gentle, kind My Little Ponies or something.